Serving Northwest boaters since 1985. Bellingham Marine Repair is ideally located in Bellingham’s historic Old Town. Near the waterfront, this location gives us easy access to the harbor and other haul-out locations. 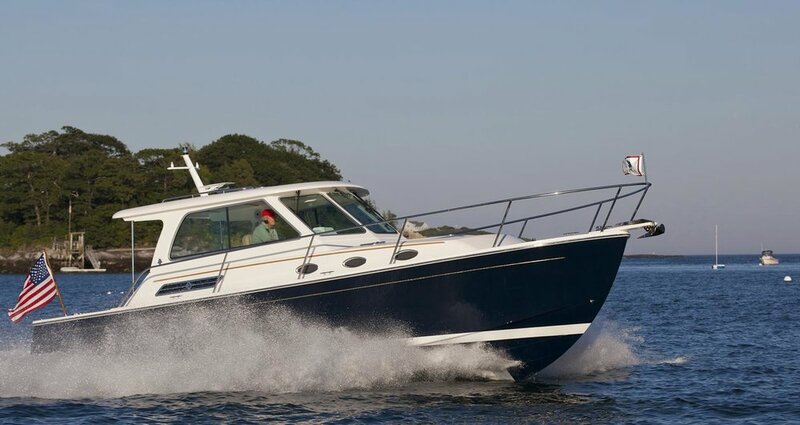 Since 1985, Bellingham Marine Repair has provided expert marine repair service. We can fix any boat, large or small. Let us know what ails your vessel - we can fix it quickly and get you back out on the water. Bellingham Marine Repair’s expert maintenance and installation services cover your boat from the keel up. We offer competitive rates and free consultations. Contact us today. Bellingham Marine Repair has been installing bow thrusters since 1985. Call us to find out how adding a bow or stern thruster can make docking worry-free. See Vetus Bow Thrusters in action by clicking on the button below. Modern watermakers are simple to use and can convert 400+ gallons of saltwater into fresh water per day. Most boats do not hold a lot of fresh water and often it is difficult to locate a reliable source of fresh water at some island ports of call. A watermaker takes the worries out of running out of fresh water. There are many sizes of water makers to fit both large and small boats. Contact Bellingham Marine Repair to find out which one would be the best fit for your boat and usage. Bellingham Marine Repair is a family business - Owner/operator Gordon Lavigueure and his son, Clark, have decades of training and hands-on experience, working on all aspects of boat repair and maintenance. Being Northwest boat owners, they know how important it is not to miss a nice day out on the water due to mechanical issues. They will work skillfully and quickly to get you back out on the water. Ideally located in Bellingham’s historic Old Town. Near the waterfront, this location gives us easy access to the harbor and other haul-out locations. Let us know a little about your boat and schedule a free consultation today.